I likes blogs because you need to get to the point. No one loves a weighty, academic tome more than me, but when reading a blog I like my info short and sweet. I also like the Stiwells. 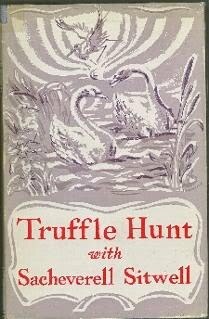 Which leads us to Truffle Hunt with Sacheverell Sitwell. In the 1940's Sitwell wrote short essays for The Sunday Times. 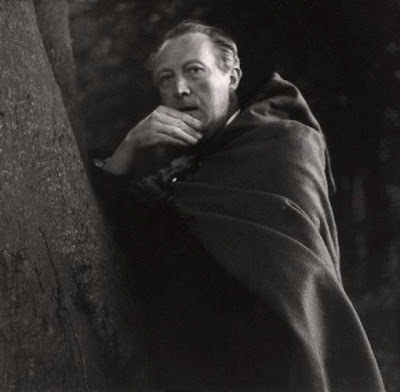 They are snippets about whatever Sitwell was thinking or seeing on a particular day be it food, art, music, lore, travel or any other thing that simple crossed his mind. This book is like taking the most interesting person you have ever met and wandering aimlessly through their erudite and eclectic brain. At St. Louis, Missouri, they danced Swan Lake in a circus. The huge auditorium consisted of two theatres, back to back, with the same backcloth. I am told that the mixture of Tchaikovsky with dance music was very stimulating, and than the wings were full of midgets and trapeze artists admiring the performance. The little man who was fired twice daily from a cannon was lost in admiration of Odile's thirty-two fouettés. I, too, love ballet and am forever sorry to have missed the above circus. And what of color? 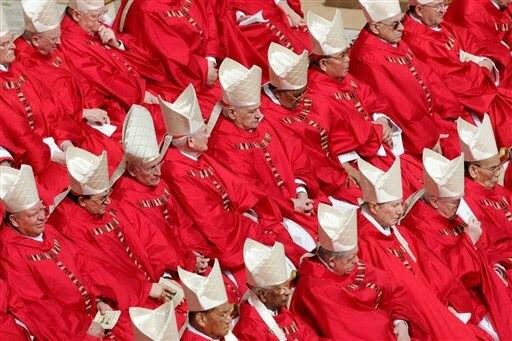 The scarlet of the Roman cardinals was dyed by generations of the same family in Cologne I do not know if it is still dyed there. A very strong snuff, with percussive effect, is supplied to the prelates of the Vatican from a snuff-mill near Barcelona. I like to think that this is the snuff of Don Bartolo and Don Basilio in The Barber of Seville.